We are happy to answer any of your questions. We are mainly by appointment only due to our high volume of customers, But we have accepted walk-ins before. If anything just give us a call. We require all dogs to be current on Rabies, Bordetella and distemper/parvo vaccinations. We WILL NOT accept any dogs that do not have up to date vaccination records. There is no current known vaccine for this strain of canine influenza. It is easily spread and contracted in areas where dogs come in contact with each other. We have a specially formulated cleaner designed to specifically for kennels, vet offices, and stables. 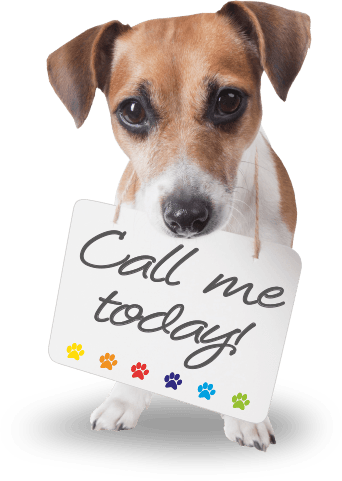 We thoroughly clean each kennel and the entire play area daily. This cleaner kills viruses including kennel cough, Parvo, even rabies! It also kills the HIV virus and the first strain of canine flu. Although we can’t guarantee that your pet will not contract any illnesses in our care, we can promise to use the best products, and take the steps needed to lower the chances.